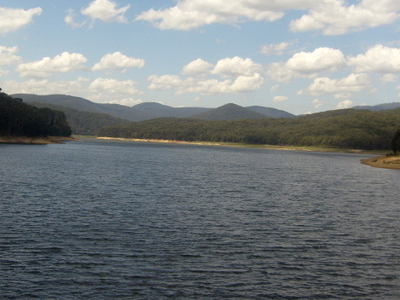 The Maroondah Reservoir is a small reservoir used to supply water to Melbourne, Victoria. 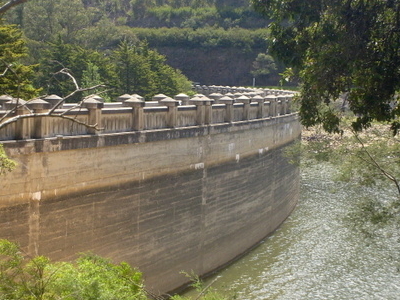 Constructed in the 1920s by the Melbourne and Metropolitan Board of Works, it is a concrete gravity dam. It is now operated by Melbourne Water. Like most of Melbourne's water storages, the entire catchment is eucalypt forest completely closed to human activity, as is the reservoir itself. Immediately below the wall, the Maroondah Reservoir Park features a large garden landscaped in an "English style", featuring many exotic plants very different to the surrounding native vegetation. 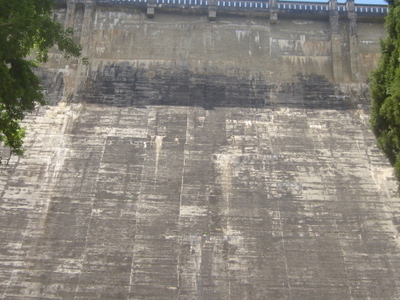 A walking track leads across the dam wall, over the spillway, and up to a lookout from which much of the reservoir can be viewed. Here's the our members favorite photos of "Dams in Australia". Upload your photo of Maroondah Reservoir!